The BTLE/Wi-Fi (via hub installed within BTLE range) enabled LOCKLY deadbolt is one of the fuller featured smart locks I’ve run across. 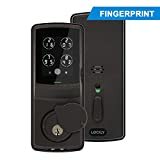 Naturally it has the keycode entry method, but not only do the numbers move for extra security, it also sports a fingerprint reader. Oh, and a physical key – if you’re into that sort of thing. It also has a 9V dead battery jump option that is found on quite a few other deadbolts nowadays – which is great. The best news coming here, isn’t found on the current model however. 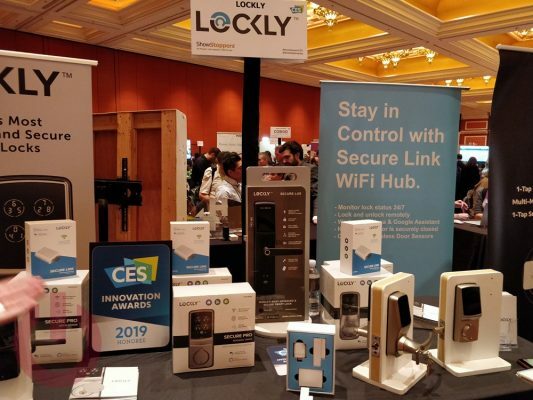 It’s that they are planning a Z-Wave unit later this year (Q2-ish), so those of us with more evolved smart home installations will be able to integrate the deadbolt in the system.